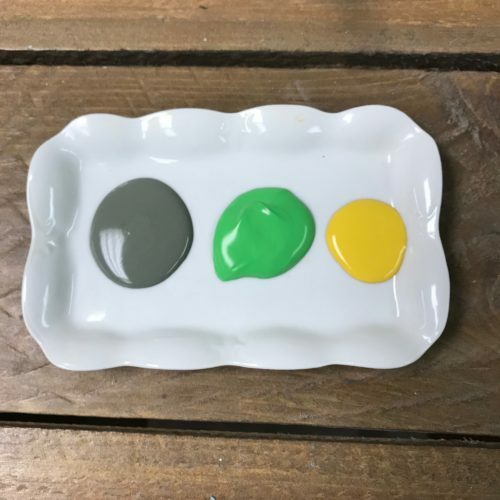 This week our ‘Color of the Week’ is a color we mixed from three colors in the line. Incase you didn’t know, our brand colors are named after items found within a home or things that make up a home. Bungalow is a synonym for home, and our brand was built on the notion of creating beautiful things for your home. 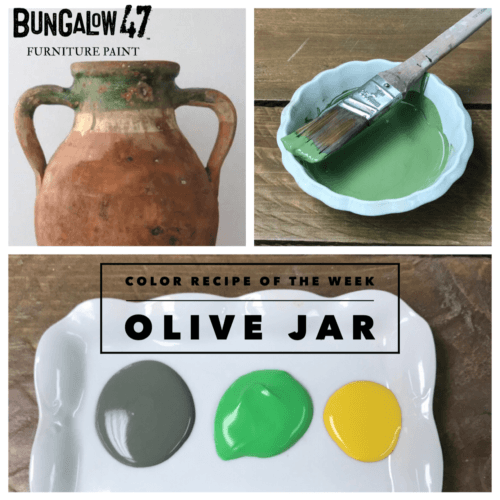 We are calling this recipe color Olive Jar, as it is that beautiful green seen on Spanish and Italian olive jar pottery. With this recipe, you can make as much as you need with the “part” measurements. So if your “part” was a 1/2 cup, you would mix one of Iron Gate, another of Front Lawn, with only a 1/4 cup of Picnic Basket. 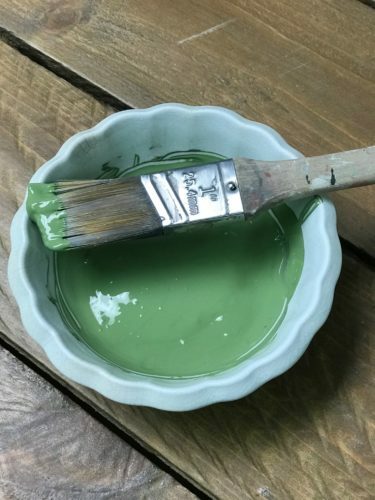 We hope you enjoy creating this new color from this recipe. 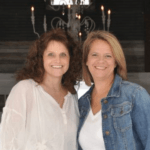 Follow along for more recipes to come!